I love Chinese food. I love reading about it, watching it being made, cooking it myself and, of course, eating it. I could eat a Chinese every day of the week. 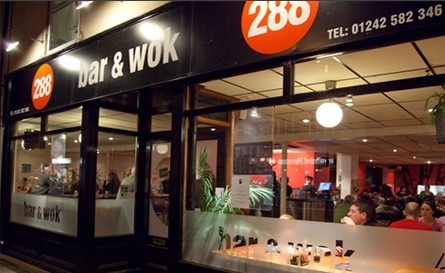 During my nine year career in a non-descript London Soho office it was Chinese food that kept me sane. The highlight of the day was my lunch hour, when I would sneak off to a little Chinese restaurant in China Town and sit in quiet satisfaction as I ate freshly roasted duck and char sui on a steaming mound of white fluffy rice or slurp down prawn wontons served with udon noodles and fresh stock. My side dish was always pak choi, as I knew that our family farm had supplied the restaurant only that week. Eating the pak choi kept me feeling connected with my family 150 miles away in the Vale of Evesham. Home is not where I lay my hat but what goes into my stomach. Sadly when I visited China Town at the beginning of 2009, the old haunt had gone to be replaced with an identkit McChinese aimed at the tourist market. 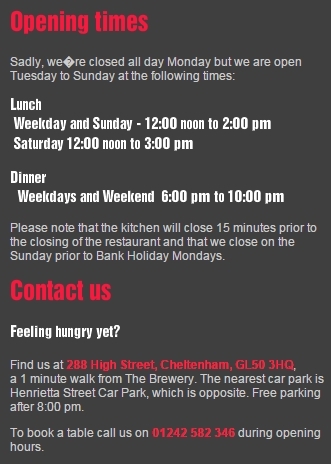 When I left the rat race in 2005 and came to Cheltenham to open 288 Bar & Wok my simple plan was to build a restaurant where I could eat with my wife, young daughter and friends. That meant no table clothes, no linen, no wine glasses, no fuss! What was important was the food and that the restaurant was for everyone young or old. My continued aim is to serve delicious and great value food as quickly as our chefs can cook it. I hope that there's something for everybody's taste and wallet. 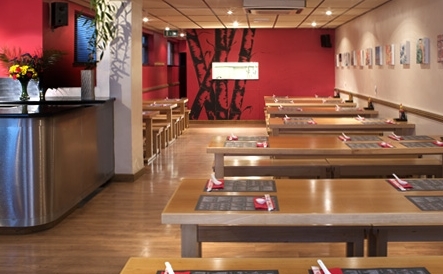 I provide the food and drink but it's our guests who create the bustling and lively atmosphere. Everyone sits together at long tables and benches, so you may end up making friends at the end of the evening, which is very cool by me. Our family has been growing Chinese vegetables for nearly 30 years. When in season between May and October I collect the pak choi every week from our farm in the Vale of Evesham, so you can be assured that it's as local and fresh as possible. Since May 2008, we have only used free range eggs in our Kitchen. I collect the eggs from Clay Hall Farm, a small family farm just outside Bidford-on-Avon. It's a small step which I want to build on in the future. Not only can you eat local produce but also drink local by choosing a bottle of Battledown Special Pale Ale or Special Premium Ale, brewed on Keynsham Road, Cheltenham. Please don't hesitate to order a glass of "corporation pop" with your meal. Should you prefer bottled water, please try FRANK Water. FRANK water is a pioneering social enterprise that donates 100% of its profits to sustainable clean water project in India. Children are very welcome. We have great high chairs that fit neatly over our benches. We can provide children's bowls and spoons and will be happy to warm up any food. We also have baby changing facilities so that everyone is happy and comfortable. Our fried rice and egg and vermicelli noodles dishes are available in child size portions. All our dishes are made to order so tell us what your little angels like and don't like and we'll cook a dish they will hopefully scoff down. If you leave 288 with a warm feeling in your stomach and perhaps a little tipsy then my job will have been done for the day. Bar & Wok is a modern take on a Chinese Restaurant. Customers sit at long tables on benches.